What the heck is “ARROWHEAD WOODS” and what are LAKE RIGHTS? Lake Arrowhead/ AWAC take so much pride in keeping the lake clean and clear of contamination and have done so for 75 years. The lake is small and too much traffic could create hazards while boating on the water. Ask anyone who owns property in the Woods and they will tell you how much they appreciate the private lake. 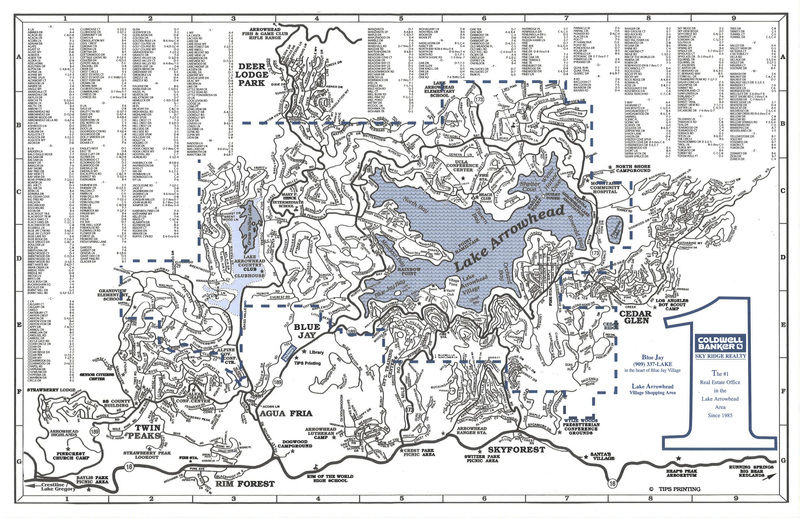 If you want Lake Rights and you want to swim and play in Lake Arrowhead, then take a look at that map and buy a house within the blue dotted line/Arrowhead Woods. However there are some exceptions so make sure you check with me first to make sure your house does not fall on one of the fine lines. If you want on the lake then you want to make sure you buy right! If you do not care about getting on the lake, then sky’s the limit with property up here! Visit my blog on ALA and see how much the fees are to be a Lake Member. For more info, feel free to email me so we can chat about Lake Rights and Arrowhead Woods! Next PostNext FIRE HAZARD ABATEMENT… DO YOUR PART TO PROTECT THE FOREST!